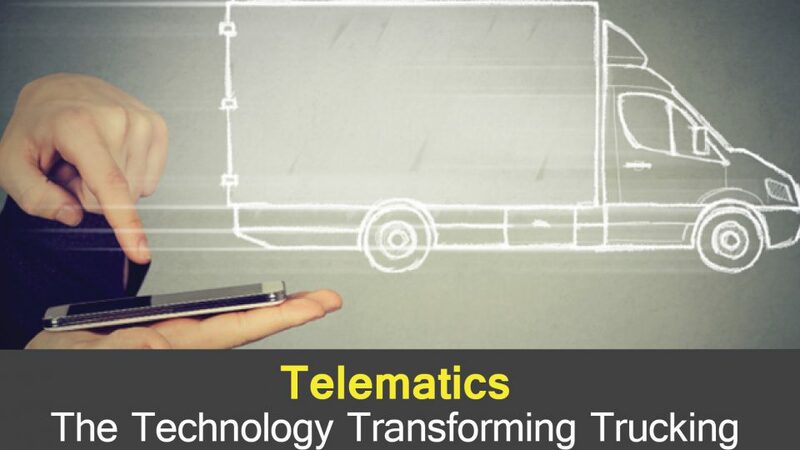 Telematics is a wide term which in simple words can be defined as the combination of telecommunication with informatics. From GPS to other advanced tech features of fleet management, Telematics encompasses all. The GPS and diagnostic tools allow telematics to perform as an advanced monitoring asset. 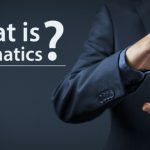 So what exactly is Telematics and how is it beneficial? It allows us to utilise that side of technology which makes it possible for us to share data with the help of long-distance transmission. This more or less justifies Fleet Telematics. Interestingly, the word originated from the combination of two French words, which mean telecommunications and data/ information. Over the past few years, fleet management has witnessed some massive enhancements due to the assistance of telematics. GPS: Earlier when a driver had to deliver shipment and various assets to a new and unknown area, he could only seek the help of manual paper maps or ask for help from people around him. With experience, we realised that both of them are a laborious and time-consuming process. Mechanical Diagnostics: It looks after operational information such as fuel consumption, mileage, and other real-time components. But earlier, the driver had no tool or assistance to track fuel consumption rates or know beforehand the upcoming servicing routines. He had to simply rely on his understanding of the vehicle. Driver Behaviour: As a business owner, before telematics emerged, there was no way for you to know how your driver was treating your vehicle. Further, you had no idea if your driver was indulging in rash driving, unnecessary idling or was going off the predetermined route. 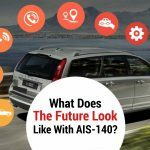 Fleet Security and Control: Which trait determines the rise of an industry? The management. The most crucial role of management is proving security. So you can imagine how tiresome and complicated it was to do security checks and other operations manually. Not to mention, dull and unquestionably less effective. – An average fleet spends around 20-40% of its time doing nothing i.e. being idle. – Remember paperwork? Each driver spends more than 100 hours annually at it. – The Industry uses up around 51 million hours each year, reviewing the said paperwork. But it’s because of telematics that the fleet industries can now get rid of paperwork and utilize this time over doing something more productive. More resource consumption. Which includes fuel, time, fortune as well as security. Larger space to maintain the trucks and cargos. The requirement of highly skilled drivers as well as trucking fleet manager. In a developing country like India, where the roads are not very polished, the need for Telematics solutions is higher. Even the uses of the trucking industry are different from the usual fleets. The assets transported are much heavier in Trucking Fleets. People prefer trucking for long distance transportations. The security of assets is higher in Trucking fleet. We have discussed the problems and solutions related to telematics here. 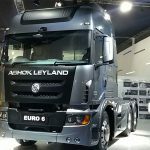 How trucking industry is being transformed? We know the complications faced by the trucking industry are different from the usual fleet industry. Now, let’s take a look at the major benefits of using Telematics Devices in the trucking industry. Telematics allows the fleet manager to have real-time communication with the driver. This builds a good relationship between them. It also motivates the driver as he knows his manager will be of help to him if he is in trouble. Advanced routes and mapping system help the driver to avoid long roads and being stuck in unnecessary traffic because of the Traffic Update feature. Ultimately, reducing the time taken to reach the destination. This is very crucial, as we are aware of how dangerous and unpredictable the roads can be. The Weather Update feature helps the driver in keeping a track of the climate and conditions of the area, thus planning his trip accordingly. Also, being aware of the fact that his time on the job is under surveillance and knowing that the movements are being tracked, this keeps the drivers in check. The two most major aspects which ensure the growth of a business are keeping the customer happy as well as the employee satisfaction. And facts suggest that if a person is happy with their job, they tend to perform better. So, ultimately, the fleet industry will benefit from this. Since the operations in business are carried out in a large number, saving even a few idle minutes can mean preventing wastage of large amount of fuel which will not only save your money, but will also help in utilizing the resource properly. Every movement of the driver including how fast the vehicle is going, acceleration rate, braking time and other factors are being measured. Thus, this helps in evaluating the driver with the standard requirements of the company. Finally, this helps in improving the work rate of the company as drivers are essentially the backbone of the transportation industry. This makes sure that the vehicle is performing well and is not facing any trouble. Consequently, you can ensure proper productivity. The FMS, using IoT can detect and inform the driver as well as the manager if the vehicle needs attention. Telematics ensures that fleet management adheres to the industry standards and is compliant with the general regulations. With it, the freight industry can work with real-time communication, which enhances coordination and helps in achieving targets effectively. The technology makes sure that compliance is maintained. The contribution of a driver was limited only on the outside world i.e., on the roads. But due to telematics, it is now possible for the driver to be virtually present in a meeting. Therefore, this helps them feel connected. Due to the involvement of UI/UX, drivers can now participate in the rewarding system. This is like recognition for the drivers who have a good delivery time and exceed safety goals. The use of telematics enables managers and drivers to store data virtually using cloud computing. This enhances the security of the documents in case of emergency. 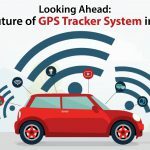 All these features and benefits are the reason how telematics has played a major role in the advancement of fleet management. The transformation is rapid and highly beneficial. With the widespread of IoT and Artificial Intelligence, telematics continues to improve and gets better by the day. It will be fascinating to witness the rise of fleet telematics in the future and how it will transform the Indian fleet management.